In the final preparations for AHM, the Program PowerFLIGHT trainees were tasked to do a Simulator Race in Week #10. The training objective was for the PowerFLIGHTers to put all their past weeks of training into a trial of sorts to gauge their readiness for meeting target race pace. The 15-18km route covered parts of the AHM race route and some hill slopes were thrown in to simulate as close to race terrain as possible. 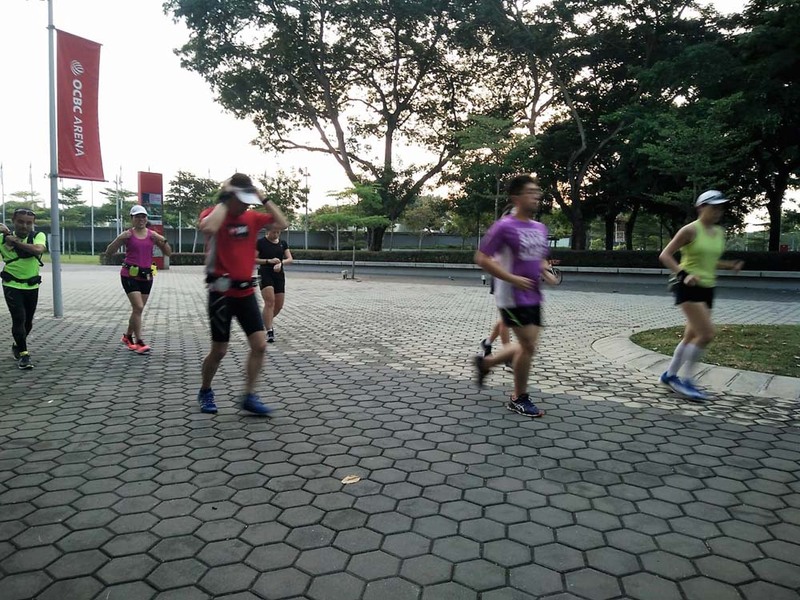 However the start time and weather conditions will be a little harsher than race morning (4:30am start time) with the heat and humidity from the warm morning providing additional challenges to the runners. 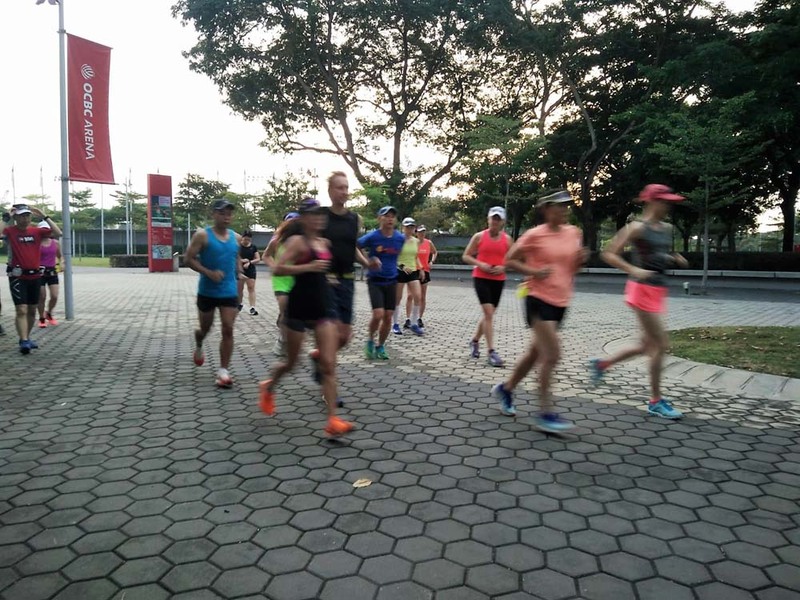 Trackwork and Tempo runs at 10km-HM pace have been prescribed the previous 2 weeks to give the trainees a good feel of running and maintaining their race day paces. 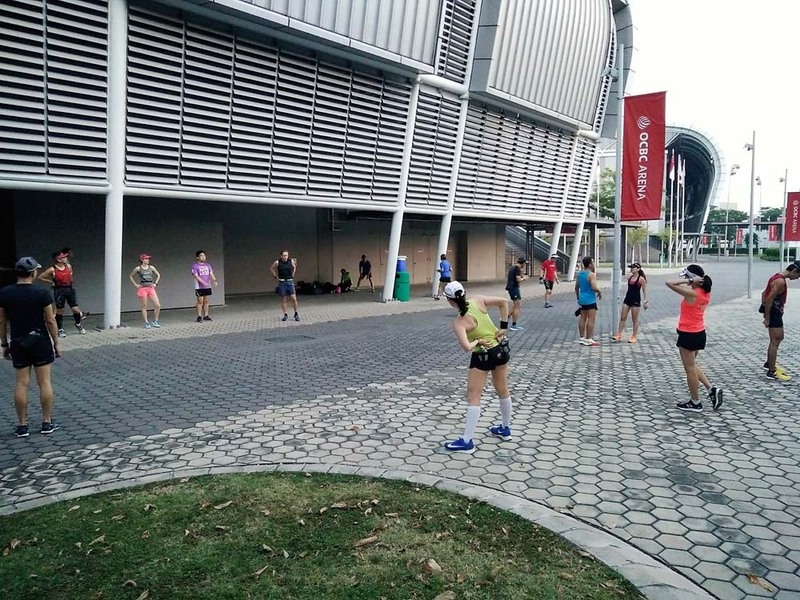 After executing their pre-set warm up and activation routines, the PowerFLIGHTers started off from OCBC Arena conservatively and then building up to their race pace after 1km. 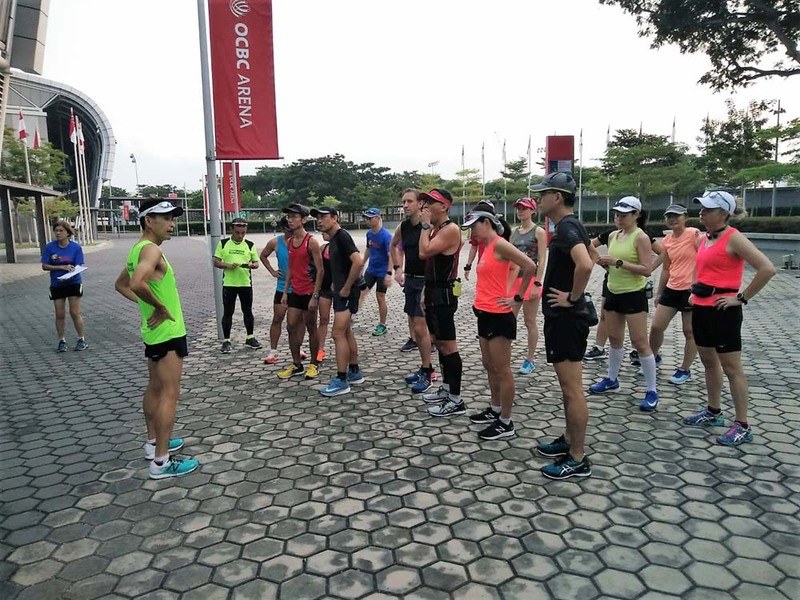 Their objectives were to maintain goal HM race pace till 21km or as far as their fitness levels can take them. Shoes and gear to be used on race day was given a dress rehearsal of sorts. Hydration & Fuel plans for individual runners were also put to the test to minimize surprises on race day. 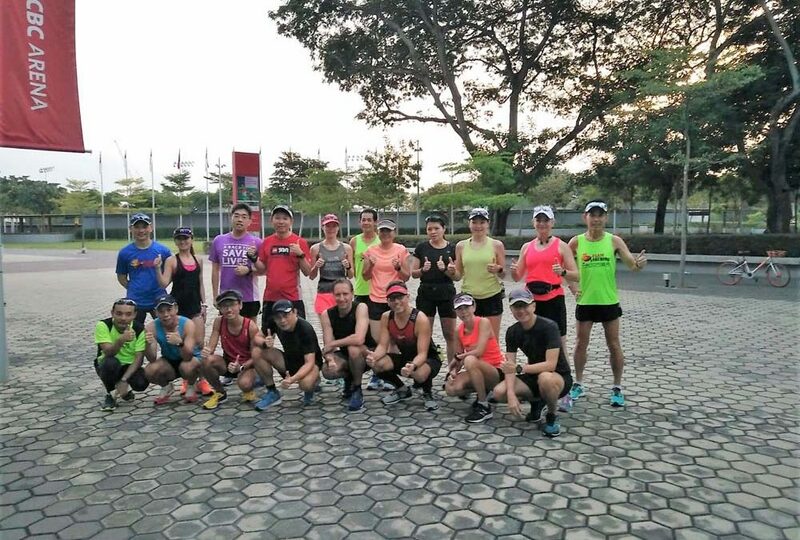 The entire Simulator training was completed in 2.5hrs by most of the PowerFLIGHTers, with most of them able to maintain goal race pace for at least 15km, a number more sustaining through 18km and 21km. It was a good gauge for the participants of their readiness levels at their timing targets. They can now fine-tune their race and fuel plans to make some adjustments for a smooth and optimal race. With the good trial experience at the Simulator training run, the PowerFLIGHTers are now confident that they can do well well at AHM 2018. 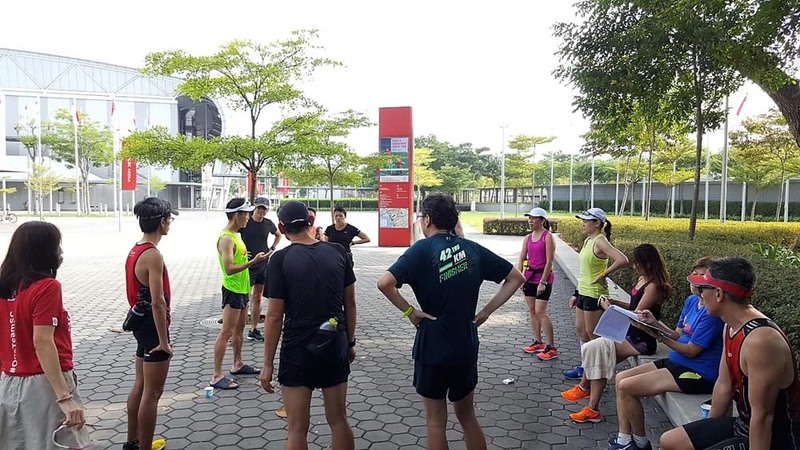 Training in the remaining days to race day will be more rest and lowered volume of training, with workouts at intensity to maintain race speed and sharpness. The PowerFLIGHTers Are Race Ready!